Amazon put this in the category of Children’s Literature , but I think it is rather a book for everyone. Bod is a special kid, incredibly bright and curious grown in particular surrounding that told us is story and give us a lesson of life. I assure you that this book is a balm for the soul. On my copy edited by Bloomsbury there is a quote from a review of the Independent on Sunday saying “It deserves to become a modern classic” and I could’t agree more. 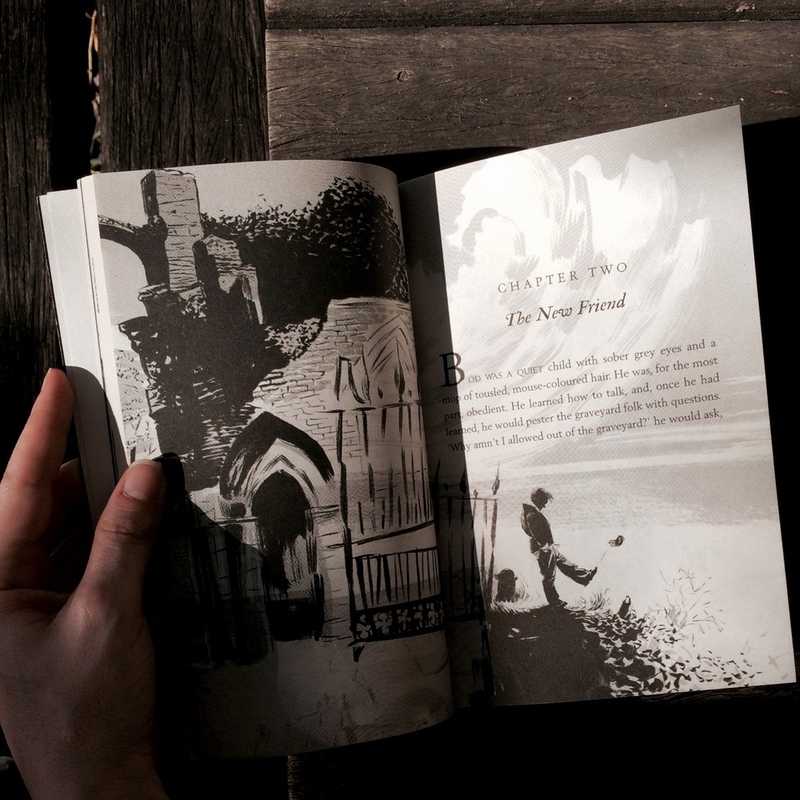 This little book, beautifully illustrated by Dave McKean, teaches us not to live with the thought of death that awaits us, but with the image of life that unfolds before us and the potential that lies ahead. We should all grow up with this very specific idea in mind. So a book can be read with pleasure, a novel winner of many awards. Bod, from Nobody ( because he look like nobody but himself) is an adorable little boy that after his parents mysterious murder is being raised by ghosts in a cemetery. Silas, is his terrifying guardian, with an infinite patience is always ready to answer his endless questions with candor and sincerity. Their conversations will please you and make you think. Bod is meanwhile instructed by antiquated inhabitants of the old cemetery on the hill and every time a ghost of the cemetery is introduced, Gaiman also shows the date of birth and death and the stone plaque. Hilarious! It is a book that is indeed very simple but not trivial. Well written and with the setting and colors described so well that while readingeasily come to life in the mind of the reader. Coraline and The Ocean at the end of the Lane are still my favorite but The Graveyard Book bring me back again into the fantastic universe that is born from the pen of Gaiman. And that is always a pleasure.